Fundraising for a cause made easy with help from FaxCongress. 1. Complete our new affiliate application form here. We will call you. How many people can you email? 2. Create a free user account to become a registered user of our site, and double-opt in by clicking the link in the email we send you, to activate your free user account. This gives you a unique login/password for future use. 3. Sign anybody’s petition, and try to send 1 free fax to just your Congressman. This will give you a feel for how our site will work for your customers, to mobilize your virtual army to bury Congress with your future petitions. 4. Create your first petition for your organization’s favorite cause. Or select “Create-Petition” above to walk through the process. Write a catchy title / subject line, and fill all 3 paragraphs with urgent words. Real Congressmen will read this, so take your time. After submission choose to “publish” in one of our seven search categories, so others will find and co-sign your petition. Feel free to create many new petitions every day or week, on different topics. 5. Share your petition, Recruit co-signers. When logged in, visit Your Dashboard and try each of the social-sharing buttons in the row of your favorite petition. Click the facebook, twitter, or social share buttons to publicize and recruit your friends as co-signers. Do this daily to maximize traffic. The more traffic your petition gets, the more signers you empower, the bigger your email list grows, the more funds you can raise, all from your dashboard, every day. 6. Create an easy banner ad of your petition, to post on your own web-site. When logged in, visit Your Dashboard, and select the word "banner" in the row of your favorite petition. Choose a size and click to see the special html code. Cut and paste this code on your web-site, perhaps after your latest blog article. See the pretty banner ad you just made on your site? Now your readers can click and sign your petition! Post banner ads on every blog you write about your cause. "Embed" is another good option to display an entire petition on a full-sized blank page on your site. Remember: A blog without a petition banner only EDUCATES, but doesn’t MOBILIZE readers to take action. If you add a petition banner to EVERY future blog or email blast, you empower your readers to change the world. "When Cicero spoke, people marveled. When Caesar spoke, people marched. Leadership is not simply speech. It is speech that makes people march. Good judgment without action is worthless." –Cato. 7. View your private data (signers, emails, money raised) on Your Dashboard under the “Your Money Raised” special access page that is only for approved affiliates. About 70% of signers give permission to share their email with petition creator affiliates. Your email list grows when you attract new, like-minded people to sign your petitions. Track your funds raised, and click the blue number at the bottom of your “signers” column to view and download your new friends in a .csv data file. 8. Upload new email addresses into your email sending program. We helped you grow your email list, so import those new friends into your email system, like Mail Chimp or Constant Contact. Our signers agreed to be contacted by you, so send your future email alerts to them, inviting them to sign every future petition you create, again and again. Mobilize your virtual army, and encourage them to recruit their friends to sign your petitions too. 9. Embed the entire “Your Action Page” on your site, as a new page under a /petitions folder (i.e. http://yoursite.com/petitions). This will display ALL of your created petitions in ONE page on YOUR site under your own header, quietly powered by FaxCongress. Copy and paste the “Embed Action Page” code html, also to be found on Your Dashboard into a fresh page on your site called /petitions. If you do this, we can back-link our site to your site, enhancing your Search Engine Optimization and page rankings. Just notify your FaxCongress affiliate rep that you did step 9, and we’ll set up links that can grow your SEO traffic. 10. Add a big new button “Take Action-Sign Our Petitions” to your site’s homepage. You probably already have a big “donate” button on your organization’s homepage, so why not add a similar-sized “Take Action” button on your homepage that points to your own /petitions page? Soon you’ll collect email addresses of any activist who visit your site and signs your petitions. Search Google Images for 3 words: Take Action Button. Select your own artwork, then point that button to (http://yoursite.com/petitions) and watch your email list grow. 11. Email, email, email. Send an email alert, either daily or weekly, to your growing email list, reporting news events about your cause, and posting repeat links to your petitions between every 2-3 paragraphs, asking them to sign. Experience shows, direct email requests with clickable links to your petitions are the best way to recruit people to sign future petitions. The more you email and tweet your petition, the more traffic goes to your petitions, the more people sign, the faster your email list grows, the more funds you can raise, and the more Congress gets buried with real fax paper petitions for your cause. DO ALL 11 STEPS ABOVE TO INCREASE FROM 30% TO 40% PAYOUT. Increase to 50% payout when 100,000 of your petitions are faxed. Increase to 60% at 250,000 faxes sent. *Payout is from net profits, if any. Raise money online. You can grow a BIG email list with FaxCongress. If you are an officer of such an organization, and wish to be considered for this opportunity, please provide us with your information above, and our affiliate representative will contact you. Once your organization has submitted your information and become approved as a registered partner, it is the first step toward getting your organization the grassroots publicity that it deserves. 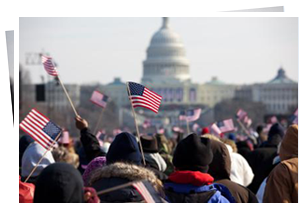 FaxCongress can be instrumental in helping you recruit an audience of new donors who care to help lobbying efforts for your cause. Create a petition with us, publish it on our site, and network with other like-minded organizations or individuals who share your vision for a better America. Publishing your petition on our site enables you to build support, and as your numbers grow so does your influence upon Congress. If you are approved, we will partner with you to achieve your fundraising goals. Recruiting supporters provides you the opportunity to launch grassroots lobbying that empowers meaningful change. We help you build a crowd so Congress will hear your voices! Registered 501c non-profits organizations, PACs, and politically-minded organizations can apply to use our site alongside other forms of social media such as Facebook and Twitter to build strong networks that make an impact. People who sign petitions you create on our site will have their voice heard instantly in Washington, D.C. FaxCongress invites all those that are serious about taking back our country and working together to make a difference to join us. FaxCongress can assist you in finding your representative and show you how to effectively create a petition with us that will recruit politically minded support. Let us help your organization reach a greater audience when fundraising for a cause.